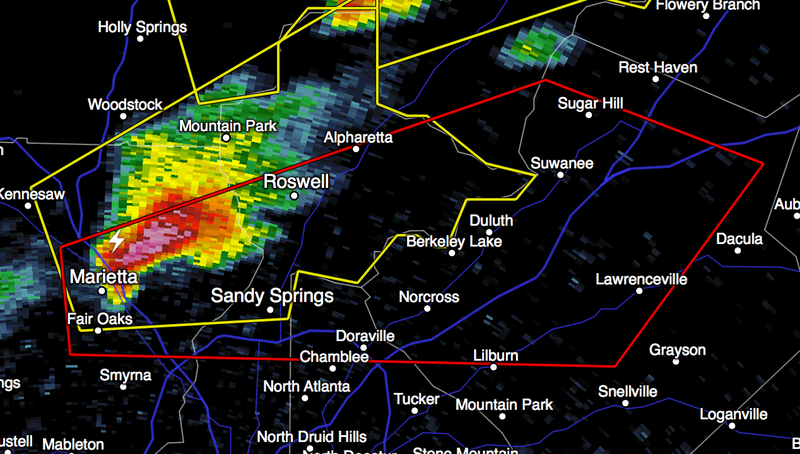 There is a tornado warning now for the N and NE part of the Atlanta Metro area. More than a million people live in this warning polygon. Take shelter if you are reading this and live there. Regardless, I want to take this opportunity to remind everyone that I generally (when I am able to do storm coverage) tweet warnings rather than post them on my blog. My Twitter handle is: @usweatherexpert.